When a school looks for a new teacher particularly at the junior level, they create a picture of the teacher they desire. Every school has certain considerations for the teaching staffs and these depend on the setting of the school and the children. While the traits considered for teachers may be different, there are some essential teacher training courses that are mandatory for every novice teacher to ace their competency. Below I have discussed some of the most popular and obligatory teacher training courses. Pre Primary Teacher Training- Training for the preschool teacher has gained a lot of acceptance as it lays strong establishment for later learning of a kid. 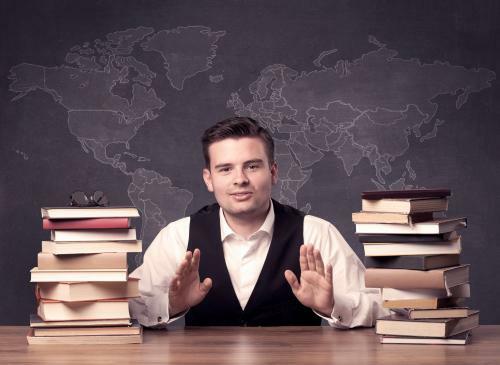 With the international teacher training coming to light, the requirement for teachers who possess necessary qualification to teach worldwide classroom has increased enormously. Montessori Teacher Training- The training focuses on the method of teaching developed by Dr. Maria Montessori. The child-oriented educational approach is based on the methodical observations of kids from birth to maturity. The method, as it’s called is now being productively implemented in schools in every country in the world. TEFL course- TEFL Course is necessary for teachers who wish to teach English in the nonnative schools, colleges and universities. The corporate and language institutes also hire TEFL qualified trainers to train adults too. The course deals with methodologies of second language teaching and it also enhances the chance to work abroad. Special Needs Education- Training comprises a systematic evaluation necessity for special education and gives federal resources to schools for the teaching of disabled students. The Special Needs Education course trains the trainee to guide kids with learning disabilities, about their performance that is suitable for society. Nursery Teacher Training- The aspirant teachers will gain knowledge of the advanced methodologies of teaching along with conducting interactive activities and classroom management for kids to make the learning experience more pleasant. Different teacher training institutes offer international teacher training for the aspiring teachers for facilitating the growth of young kids. By completing the courses the teacher will be capable to design activities for children to boost the societal, physical and cognitive development in them. A person who takes interest in academic topics.